ASTHMA is defined as chronic inflammatory disease of airways characterised by variable and recurring symptoms, reversible airflow obstruction and bronchospasm. Symptoms include wheezing, coughing, chest tightness and shortness of breath. The airways are super sensitive. They react to many things, such as cigarette smoke, pollen or cold air. These are known as Trigger Factors. Many things can trigger an asthma attack. Animal dander, fur and/or feathers may trigger an asthma attack. Example: cats, dogs and cockroaches. Plants – pollen, molds and fungi. Dust – dust in beds and pillows, dust from sweeping and dust mites. 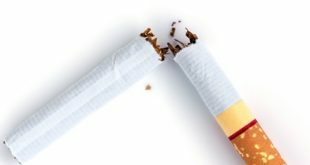 Environmental pollutants – pollutants, fumes, tobacco smoke, chemicals ( chlorine and ammonia), medication ( aspirin and beta –blockers). Food allergies –most common food additives such as MSG (monosodium glutamate) and sulphites. Medical disorders– adrenal disorders, anxiety, low blood sugar, stress, GERD (gastroesophageal reflux disease may cause asthma by spilling acid into the airways triggering a hyper reactive response), sinusitis or respiratory disease. Changes in temperature– cold air, thunderstorms, extremes in dryness or humidity. Exercise – 40% to 90% of people suffer from a type of asthma that is triggered only by exercise. This type of asthma occurs most frequently during intense exercise in cold, dry air. Hormonal changes – 30% to 40% of women with asthma experience fluctuation in the severity of their asthma attacks shortly before and / or during their menstrual cycles. Those at the highest risk for asthma are children and those over age of 65. In general, asthma begins in childhood (with most children having their first attack before the age of 5) and clears up or becomes less severe by the age of 21. However, asthma can develop at any age and is most common among adults with allergic or a genetic tendency towards a supersensitive immune system. Intrinsic asthmaMost often develops during adulthood and has no apparent external cause (such as an allergy). This type of asthma often develops following a respiratory infection or disease such as bronchitis or sinusitis. This attack is generally triggered by changes in the weather, by exercise, by stress and by anxiety, and by exposure to toxic chemicals. Extrinsic asthmaIs an allergic condition and can be detected by an increased in serum Ig E (an allergic antibody) in the body. This type of asthma is generally triggered by a respiratory infection (cough, cold, bronchitis, etc. ), by exercise (esp. in cold air), by tobacco or by other air pollutants, or by an allergy to a particular food or drug. How to control your Asthma? 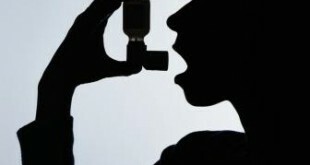 Take asthma medicines as advised by your doctor. Taking steps to reduce your exposure to things that trigger asthma symptoms is a key part of asthma control. Air conditioning reduces the amount of airborne pollen from trees, grasses and weeds that find its way indoors. Air conditioning also lowers indoor humidity and can reduce your exposure to dust mites. Minimize dust that may worsen night time symptoms by replacing certain items in your bedroom. If you live in a damp climate, talk to your doctor about using a dehumidifier. Clean damp areas in the bathroom, kitchen and around the house to keep mold spores from developing. If you are allergic to dander, avoid pets with fur or feathers. Clean your home at least once a week. Wear a mask when doing cleaning. Cover your nose and mouth. If your asthma is worsened by cold or dry air, wearing a face mask can help. Stay healthy: get regular exercise, maintain a healthy weight and diet.